Gharar (uncertainty) is an important issue discussed in Islamic Jurisprudnce as well as in Modern Law. 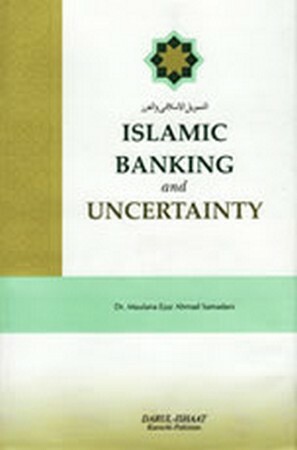 According to the Shari'ah, avoiding Gharar is imperative in the field of Islamic Banking. This treatise deals with this very subject and its effects in various transactions and agreements. The author has elaborated the issue in lucid language when describing complicated aspects of Islamic Jurisprudence according to modern style and diction. The author, Maulana Ejaz Ahmad Samadani was awarded his Ph.D degree from the University of Karachi for this dissertation he compiled on the the issue of Gharar.